Very rich creamy, caramel and floral-honey taste. You can smoke from 40 minutes to an hour. I liked it very much, I smoke regularly. It is necessary to carefully observe the humidity, otherwise there will be no breathing. A good smoking Cuban for $3 a stick.What's not to like.. Smoking 2015 date box from Cigar Terminal while writing this review. Draw is decent , taste is decent. Good for when you are in rush. I like Montecarlos a little better for taste and draw. 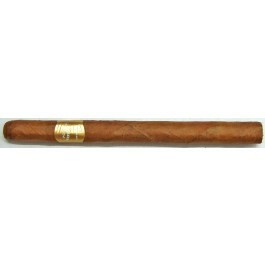 Here is another very reasonably priced Cuban cigar. It has a very distinctive flavor, and when it draws well, it is a great little cigar for the money. However, when it draws poorly, it is a struggle not worth the effort. Out of the box I purchased, I found 8 with a tight draw - 5 of which were nearly unsmokable. Here again, even if only 17 of the cigars were solid, that is still only $4 a stick.